NEW YORK (CNNMoney.com) -- Foreclosure filings fell by 8% in November, making it the fourth consecutive month of improvement in the housing market. There were 306,627 filings last month, according to RealtyTrac, an online marketer of foreclosed properties. That decline follows a 3% drop in October, 4% in September and 1% in August. 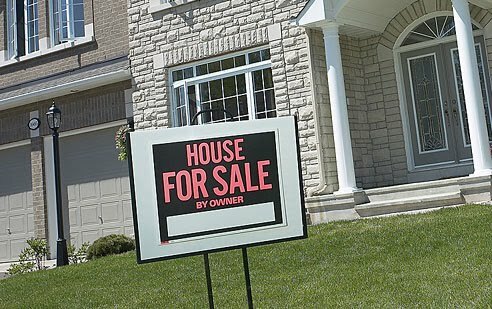 "Loan modifications and other foreclosure prevention efforts, along with the recently extended and expanded homebuyer tax credit, are keeping a lid on the most visible symptoms of the nation's ailing housing market -- foreclosures and home value depreciation," RealtyTrac CEO James Saccacio said in a prepared statement. NEW YORK (CNNMoney.com) -- Only about 4% of troubled borrowers have received long-term help under the Obama administration's foreclosure prevention program, Treasury officials said Thursday. A nearly equal number of trial modifications have been denied permanent assistance, the report showed. The reasons include not making monthly payments on time, not submitting all the necessary paperwork and not qualifying for reasons such as insufficient income. The report, the first comprehensive tally of permanent modifications made, shows that loan servicers have converted 31,382 people from trial adjustments to long-term assistance as of Nov. 30. As the economy seems to be seeing a light at the end of this very dark and long tunnel commercial real estate continues to pull us further back. Commercial real estate companies are now seeming more and more ready for acquisition however with high rates of unemployment, hard lending processes, and uncertainty from investors, commercial real estate is far from out of the woods yet. Although residential real estate seems to be easing back to a more positive situation, commercial real estate seems to have a gloomier future. With the recent issues with Dubai World, many are feeling that things are only going to get worse before they ever get better. The default rate in speculative debt is said to hit an all time 28 year high by the end of the year. Experts seem to be blaming this trend on the continues rise in unemployment which in essence is hurting the cash flow in the industry. It is said as long as this unemployment trend remains so will the commercial real estate concern. Credit is said to be the second leading cause for this unfortunate trend. Banks are becoming even more unwilling to give out trends protecting themselves for what might come in 2010. According to many, 2010 will be the rock bottom for commercial real estate. It is a tough decision for most people to decide, now that the economy is said to be bouncing back, whether it is an opportunity to invest or a time to save. Most experts, Including CEO of Century 21, Say that it has never been a better time to Invest. With the cost of capital right now down to record lows in the 4-5% range, the price of real estate still at rock bottom, and the overall availability high due to the overall lack of buyers this theory may not be just a push to help his business. Now most would probably say that they just want to wait a little longer till the economy bounces back with unemployment rates still in the double digits. Yet, based on research done by Realty Times this opportunity that the market is providing may be disappearing faster than most realize. There has been an overall increase by around 4% in housing sales from over the past couple years, with even higher 20% increases in areas like the Northeastern region of the US. Additionally increases in newly constructed homes around the country has increased by over 6% from the last couple years showing that there are financially secure people right now capitalizing on the current buyers market. Now, determining if you should invest is really based on nothing related to the facts I've just given, but more on whether you are financially secure or not. If not then save your money for the essentials, but if you have a decent amount of surplus cash lying around, making little to no interest in that savings account, real estate investment may be something you should seriously consider. By at least one measure, price cuts on Chicago homes appear to be waning, which means sellers are getting more realistic or they're willing to wait longer for their desired price. While more than 27 percent of listings in Chicago on Dec. 1 contained at least one price reduction, the number of listings with price reductions still was 15 percent less than a month ago, according to realty Web site Trulia.com. In Chicago, 27 percent of single-family homes had been reduced in price, by an average of 10 percent from the original price. Among the 26 percent of condos with price cuts, the average reduction was 7 percent. A recent Time article has an interesting point, "During the real estate boom, new home construction became a game of ever increasing square footage. That had a certain logic to it: If you saw your house as an investment to make you rich, bigger could only mean better, right? Now that the economy has unfurled and people are realizing that prices don't always go up, houses are getting smaller and more practical. 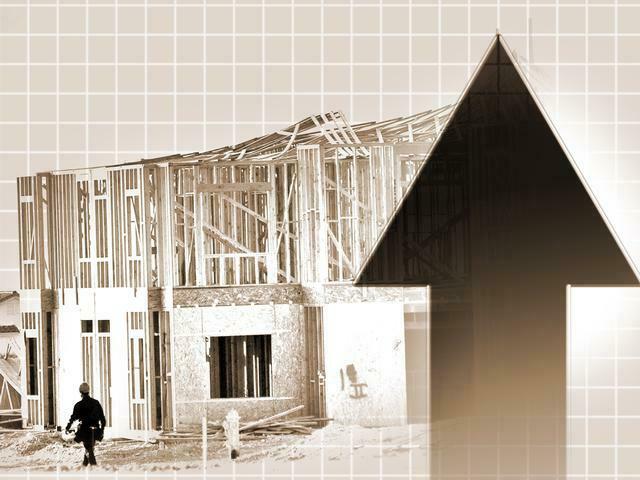 Instead of feeding the desire for flash, architects and homebuilders are responding to how families actually spend time and use space, as well as to new buyers entering the market. "A house is back to being a house," says Stephen Moore, a senior partner of the architecture and planning firm BSB Design in Des Moines, Iowa." This is a good trend to see in society. Bigger is not always better. Why live in a house that is three or four times your capacity to use it and pay more if it won't help you financially or economically. 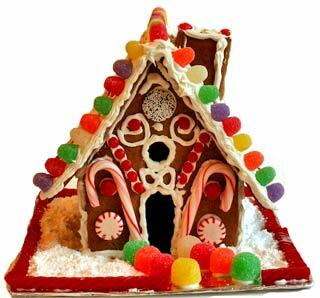 You can still build an awesome house but make it small and fit your needs in the most cost effective way. The article continues: "What does the new American home look like? The shift is obvious as soon as you step through the front door. The grand entryway — the two-story foyer with a sweeping, often multipronged staircase — is quickly giving way to a more modest entrance. Stairs are less about architectural flourish and more about getting upstairs (if you can imagine). That means they're either moving back up against the wall or turning into more-compact switchbacks. The two-story foyer is becoming less and less popular too — in an era of tighter purse strings, who wants to heat and cool all that empty space? "Would you rather have the extra volume or a game room upstairs?" 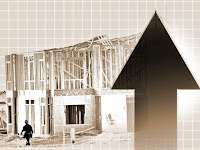 asks Ken Gancarczyk, a senior vice president at KB Home who runs the Los Angeles–based builder's architecture group. 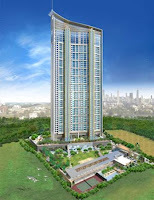 Buyers, KB is finding, want the room." NEW YORK (Fortune) -- Back two years ago when the mortgage meltdown was heating up, we wrote an article called "Junk Mortgages Under the Microscope" dissecting a particularly wretched mortgage-backed securities issue peddled by Goldman Sachs. We wanted to show how these complex securities really worked and how Moody's and S&P, the rating agencies, aided and abetted the process by giving two-thirds of an issue backed by ultra-risky second mortgages the same safety rating they gave to U.S. Treasury securities. We thought this was a cautionary tale -- but it's turned into a horror story. All the tranches of this issue, GSAMP-2006 S3, that were originally rated below AAA have defaulted. Two of the three original AAA -rated tranches (French for "slices") are facing losses of about 90%, and even the "super senior," safer-than-mere-AAA slice is facing losses of 25%. How could this happen? And what lessons can we take away from it? As many have realized the recent housing and economic crisis have caused a dip in home sales over the past year or two. Selling a house can be considered an art and some individuals fail to realize how to effectively market your home and make the final sale. In today’s world selling a home can be harder than ever so it is important to follow some basic rules in order to secure the sale. 1. Invest in hiring a real estate agent. Some people fail to realize how difficult it really is to sell a house and underestimate the power of a professional. 2. Be positive and persistent. Everyone is having trouble selling homes for the prices that they want to these days. Keep at it and stay motivated. It won’t fail you. 3. Make improvements to both the inside and outside of the house. People will see your home as they drive by and the more aesthetically appealing that it looks the more they will be intrigued to look into buying it. 4. Many experts recommend depersonalizing your home. By making the house less personalized, buyers will be able to envision it the way they want it. A clean slate usually works best. 5. Have realistic expectations when it comes to selling your house. Talk to a real estate agent prior to pricing the house in order to have an expert opinion. Is the selling market stable or strong? Pay attention to the economy and the news to see if right now is the best time to sell or if you should wait a few months. Traditionally spring is the best time to sell your house. Sales peak in April and May and continue to stay relatively strong in June and July. It’s a good time to move because the weather is nice and it’s during summer recess from school. In the recent months, the foreclosed housing market has become more and more attractive for those looking to purchase discount real estate. Currently there are over 1.5 million homes for sales, and this number is expected to grow for the next six months. 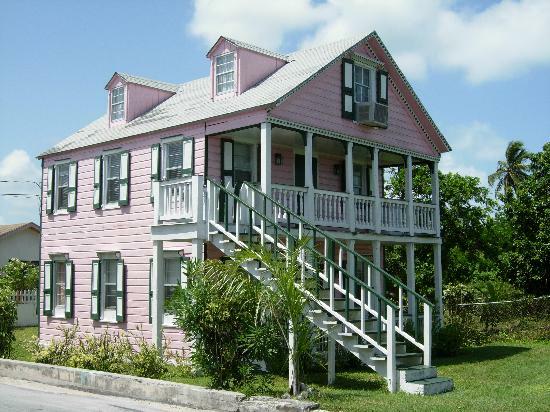 Foreclosed houses provide bargains for those looking to purchase assets. However, these bargains have both advantages and disadvantages. 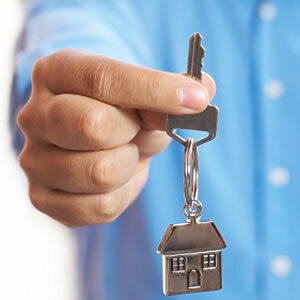 If you are looking to purchase a foreclosed house in the near future, there are many strategies that will help you in making the right purchasing decisions. Glenn Kelman, CEO of the online discount housing broker Redfin, explained the current housing market best: “Everybody and their grandmas are trying to buy foreclosures.” Because of this, it is important to act rationally and not just get caught up in the frenzy. Cheap list prices attract many bids from potential buyers; thus, make sure to stay clear of homes that are no longer selling for a great bargain. Two strategies that place the buyer at a greater advantage are the following: always contact lenders directly and make sure to get pre-approved from the lender you want to buy from. The better relationship you have with an asset manager, the greater chance you have with receiving insider information on great bargains as soon as they hit the market. This can put you in a better position from other buyers on the market. October real estate statistics have shown that many Americans are taking advantage of the first time home buyer credit. The National Association of Realtors reported on December 1st “an unprecedented ninth consecutive month of increases in the number of signed contracts.” While a signed contract does not promise a done deal home purchase (because it is not officially a closed sale,) this number is a clear indicator that many Americans are utilizing government incentives to purchase homes. The Census Bureau has also reported some encouraging figures for the future of the real estate market. In the month of October, there was a dramatic 3.9% surge in private residential construction spending. Many analysts agree that these numbers may in fact weaken in future months; however, it is clear that the depressed prices of many homes as well as government incentives have encouraged many Americans to purchase their first home. Throughout the course of this recession, and the recovery of the recession, the housing market as a whole has still struggled. Although it may take a long time for the entire nation to return to its previous level, there is hope for some areas to respond quickly. There has been a noticeable improvement in the price level of houses over the past six months. 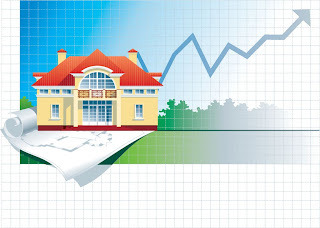 Rising home prices are a key ingredient to rebuilding the economy. Homeowners feel wealthier when their property appreciates in value and are more likely to spend money. Rising prices also help millions of homeowners who owe more to the bank than their homes are worth. On the other side of the argument, the population who is interested in buying a house is in luck. Interest rates are at record lows. Housing prices in many parts of the country are still depressed. And you may be eligible for a generous tax break. 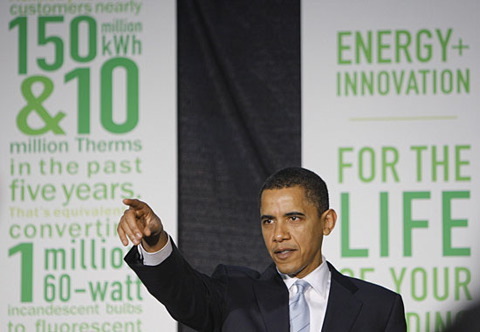 President Obama signed legislation that provides a $6,500 tax credit for some current homeowners who buy another home. The law also extends the $8,000 tax credit for first-time home buyers. With the economy pulling out of a recession, many people wonder if they can expect another crash, and if their housing market with be revived. Because the markets had made such a recovery this year, many experts wonder if it is too much too fast. With that being said, the economy is recovering but the housing market still faces challenges, and we are still losing jobs. “Junk Mortgages” as they are called continue to get worse and still continue to ruin the housing market. Experts thought that when the recession hit, dissecting them and evaluating them would put an end to their harm, but they have not been resolved. These mortgages are a large reason as to why the housing market will not recover on the same level as the rest of the economy, and why so many foreclosures are happening. The big question many people want to know the answer to is whether their town will be a boomtown again or not. A good climate and a robust economy tend to push housing prices up, but meanwhile an elastic housing supply keeps prices moderate. 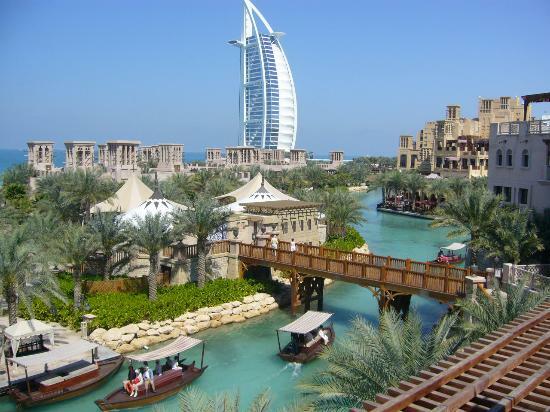 It is said that some of the “old, cold” cities and towns may never recover the way a warm climate city will recover. The housing market hit a big increase for the month of October. National Association of Realtor's index increases 32%. There is a large factor of the first time buyers tax credit that home buyers are taking advantage of. There has been a straight nine month increase in signed contracts. The first home buyers tax credit can equal up to $8,000. The tax credit is worth 10% of the value of the home up to $8,000. It is only for first time home buyers who have not had a residence in three years and this must be their primary residence after purchase. The ending date was November 6, 2009 causing the major increase in October home sales. Not only is there an increase in buying but a major decline in houses on the market for sale. Lawrence Yun, a National Realtor Association chief economist believes that real estate conditions will be back to normal by mid 2010. (CNN) Many areas are seeing this increase in home sales it is not just a positive country average. Central Ohio saw a 26% gain in October and Chicago area sales were up 33.3%. Along with the unemployment rate declining and real estate home sales increasing there is a lot more hope that there is an end to this recession. There is still a lot of work to be done and debt to be paid back but these signs give a positive that next Christmas may not be so dark. 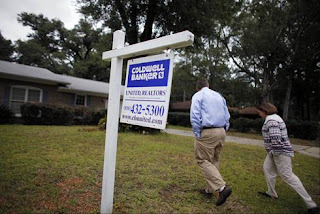 There are a rising number of foreclosures during this economic crisis. 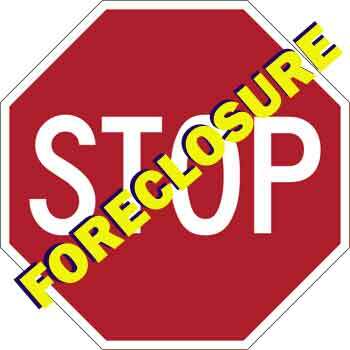 With unemployment rates rising and borrowing money is becoming more difficult foreclosures are increasing. The government has been stepping in to help with this growing problem. The government wants to have the loan providers to help these homeowners long term. They are going to physically go to these providers and help move along this slow transition to get homeowners back on track quickly. Banks are now going to be required to send progress reports two times a day for the month of December. Those that do not cooperate with the guidelines placed will face penalties. The government wants to help the providers have a good line of communication with their borrowers. The homeowners are being placed in trial runs to see if they will be able to meet the new payment plans. Bankers are complaining that the borrowers are not turning in their paperwork which is slowing down the banker’s side of the process. The Treasury realizes that this problem is two sided since homeowners are not handing in their paper work as well. This is going to be a work in progress for homeowners to stay away from foreclosures. This has been “conference” month, and we have attended our share of the retrospectives/prospectives of the economy and the real estate market, both nationally and locally. Most prominent of those conclaves was the Urban Land Institute’s national conference in San Francisco, which was held in early November. It was followed by a local version, called the Trends event, focusing mostly on San Diego. The idea that trends matter is wrong. These conclaves ought to be titled Apocalypse Now. The nature of the economic beast attacking us requires serious thinking about real change. Not enough of that is going around. 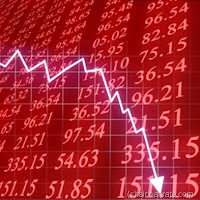 The general consensus from each of the events is that we are in the midst of a long, slow recovery period. So, the message is to attempt to Thrive in Turbulent Times, the subtitle of the local ULI Trends conference. Malmuth is correct. There is no point in mincing words. The economy and the real estate market have been in descent for four years, and there is every sign this will last for a couple more. Job losses and unemployment remain high. Discretionary spending is weak. Nowadays, even though mortgage rates have been dropped, many families are still struggle making their payments. Maybe it's the time to buy a smaller house since children all grew up and moved out. Stave (Steve Yoder is chief of The Wall Street Journal's San Francisco bureau) said "Home to this particular house, I mean, and this town. I ask because Karen and I are starting to talk of downsizing. That talk often leads us, naturally, to sub-Saharan Africa. And then I worry about Isaac's rootedness, now that he's off at college." The house is too big. We bought it for two adults, three boys, a pooch and a lizard. We're down to the adults, one boy and an aging dog. We seldom use 1,000 of our 2,500 square feet, but we still pay the mortgage and taxes and upkeep on those unused squares. This is the family's choice whether they should move out or not.The Bay Area is expensive, mainly because of the reasons they love it-it's a cultural center with natural beauty. And it's even more expensive if you're living in a house that's too big for you. "So, while I'll always have a place in my heart for the Bay Area, I wouldn't object to a move. You have to let go of childhood sometime." As Thomas Wolfe wrote, "the womb from which mankind emerged into the light, forever pulls one back – but … you can't go home again." 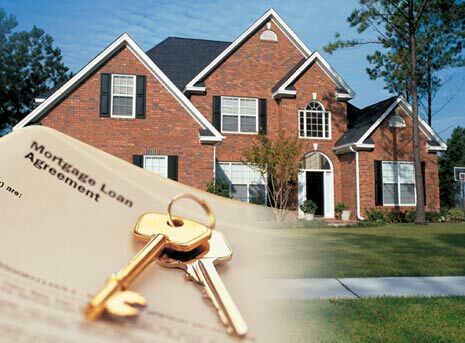 The Obama administration on Monday plans to announce a campaign to pressure mortgage companies to reduce payments for many more troubled homeowners, as evidence mounts that a $75 billion taxpayer-financed effort aimed at stemming foreclosures is foundering. Even as lenders have in recent months accelerated the pace at which they are reducing mortgage payments for borrowers, a vast majority of loans modified through the program remain in a trial stage lasting up to five months, and only a tiny fraction have been made permanent. Some economists argued that the plan was built for last year’s problem — exotic mortgages whose payments increased — and not for the current menace of soaring joblessness. Lawyers who defend homeowners against foreclosure maintained that mortgage companies collect lucrative fees from long-term delinquency, undercutting their incentive to lower payments to affordable levels. Mr. Barr, who supervises the program, portrayed such deliberations as part of a constant process of assessment within the Treasury. 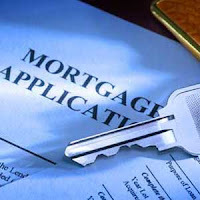 He expressed confidence that the mortgage program had sufficient tools to deliver relief, characterizing the slow pace as reflecting a lack of follow-through, and not structural defects requiring a revamping. Finally there is some good news with the economy. Though unemployment may still be extremely low the stock market is making a great increase and real estate sales are starting to move in a positive direction. 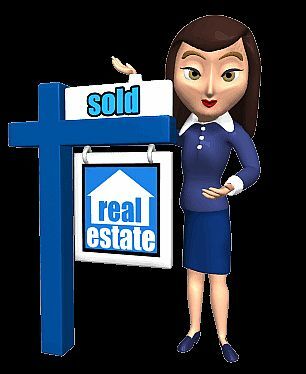 The National Association of Realtors estimated that sales are up 10.1% in October. This is the highest it has been since February 2007. With the tax credits in place people are buying more houses. The government has extended the credit till April. The tax credit is a great option for first time home buyers to get a great deal if they can afford to buy a home in this time. This tax credit will hopefully continue to raise housing sales. As more positives occur in the economy will spiral into more positives for the United States economy. Though we saw a big increase experts feel that there will be a decline before we see another big increase in the next year. We just need to hope that the next year brings good economic times. After 19 years in business, Jane Hancock and her husband decided that relocating the Maritime Pacific Brewing Company, a microbrewery and restaurant in Seattle's Ballard District, was a gamble they were ready to make. "It used to be sort of a sleepy sort of town -- we are right by the water here," says Hancock, whose business moved a few blocks away. "All of a sudden it became chi-chi." When the recession hit, the Hancocks had to stay optimistic that they would still be able to fill seats in a bigger space. The relocation was pricey: They invested in reconstructing the restaurant, equipping a larger brewery, and shutting down for weeks. "We had to take it on faith that we will continue to have a popular product, and that this downtime isn't going to hurt us," Hancock says about the decision. For the first time since 2007 the commercial real estate activity seemed positive. However this rise although slightly encouraging does not acknowledge the fact that the real estate market had a drastic fall just one year earlier. 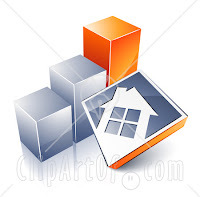 The NAR, National Association of Realtors, showed that the brokerage activity rose from .09% to 102.4. However the index is still falling short of what it once was on a couple years ago. Although there was somewhat encouraging news form the real estate market, credit availability remains a huge problem for the industry. The vacancy of both commercial and residential properties is predicted to reach record highs this year. "Credit availability needs to significantly rebound for any hope of a meaningful commercial recovery in 2010," NAR chief economist Lawrence Yun said. Its a great time to buy, but only if you have the money at hand.